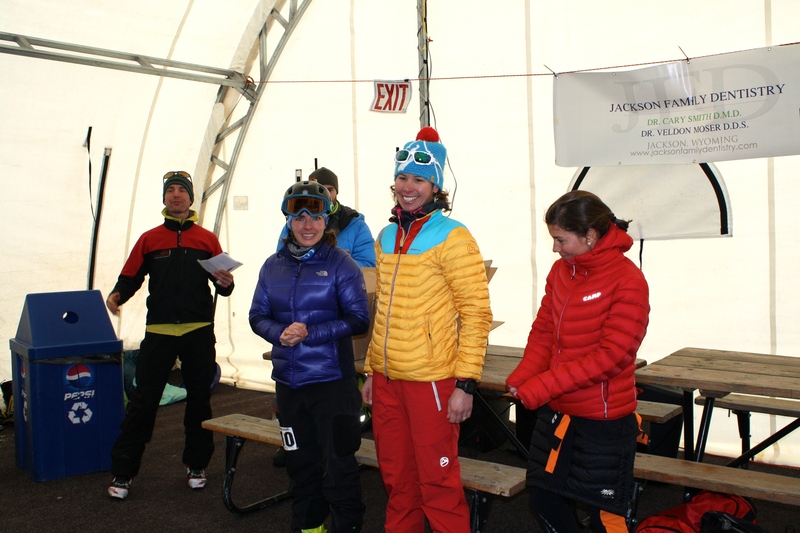 If the La Sportiva Irwin race was my reintroduction to skimo racing, then the Wyoming Randonee Roundup was a full immersion. Three races in two days definitely put me to the test. Whether it was denial or pure naivety, prior to last weekend I had convinced myself that I hadn’t lost my endurance despite not racing in more than a year. 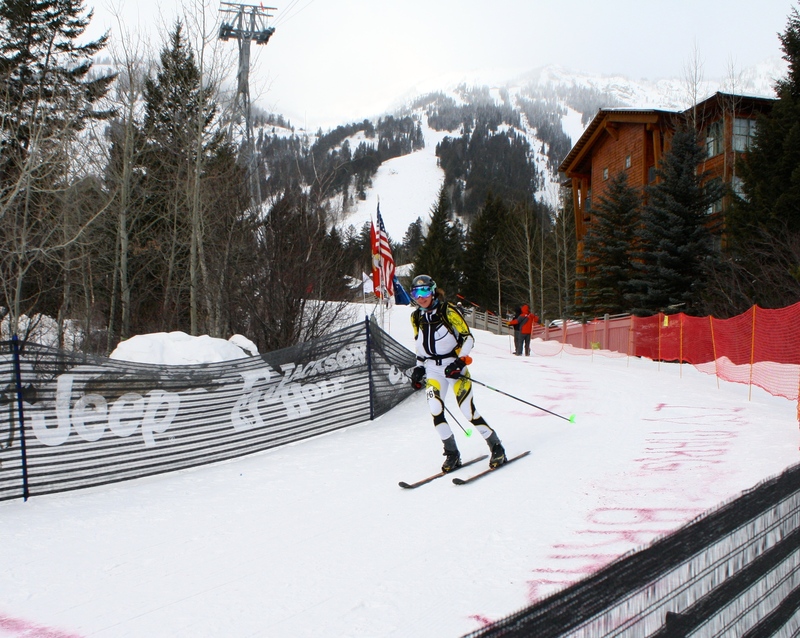 I’m not sure if it was a lack of endurance, missing my top-end race pace, or the lack of articulation on my ankle, but by Sunday’s race at Jackson Hole I was a bumbling greenhorn. 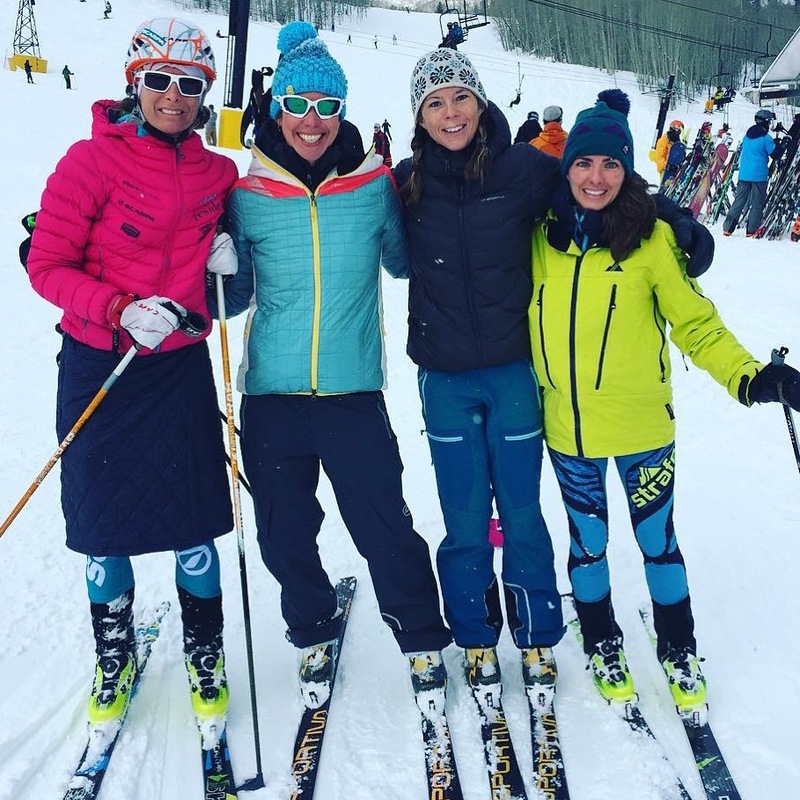 After the Targhee race, there wasn’t much time to do much but eat, hydrate and get back over to Jackson for the circuit race at Snow King right that started at 6pm. Snow King is small mountain with just two lifts, but it’s a great resource for Jackson locals as they allow uphill traffic all hours (Jackson Hole does not permit any uphill traffic except for the race). Forest Dramis, Cary Smith and Pete Swenson set a fun course of about 6-8 kickturns, a boot pack and a descent through some gates. We completed the circuit for 3 laps with a small uphill finish. It was very spectator-friendly and great to have so many people heckling and cheering us on. After just 23 minutes of racing, I finished 41 seconds behind Stevie. That girl is fast! After an early bedtime, I woke up Sunday morning feeling a bit off but ready to get race #3 over and done with. I was nervous about the weather as it was forecasted to be very cold with lots of wind. And for once, the weather people were correct. The base of Jackson Hole was mild but it was -9 degrees at the top. At the start I stuck to Stevie’s tails as long as I could but I found myself slipping back after about 12 minutes of racing. By the time we reached the top of the first climb I was over two minutes back. Telling myself to race my own race just like I did in 2012, I continued to push myself and managed to pass a few men. Although Stevie continued to put a little more time into me with each ascent, I stuck with the guys I’d been racing around for a while and we created a small gap over a chase group. Coming into Corbett’s Couloir, the wind was fierce and my hands were numb (despite having hand warmers in my gloves) so I stopped to add over-mitts. We all knew we had to suffer through the short climb to the top of the tram so we could descend back to the bottom of the resort and get out of the wind. 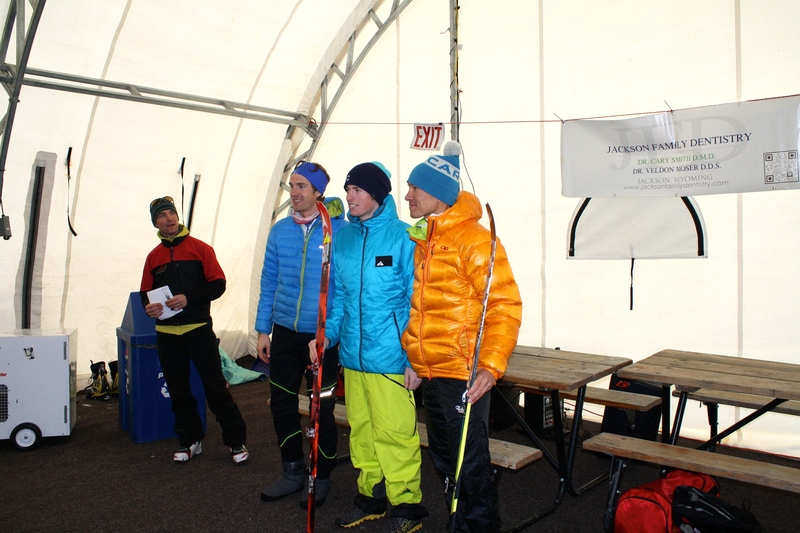 I went into survival mode at some point and was happy to begin the long ski down. Normally I enjoy the final climb of the race. But this year, with a lack of snow, the skin track was almost non-existent and I struggled to get a flat ski on the snow with my bad foot, causing me to slip every other step. And this is where I went backwards. Frustrated and feeling defeated, I almost dropped out with just a few kickturns left. I forced myself to keep going and finally I made it across the finish line almost 13 minutes behind Stevie and over 20 minutes slower than 2012. 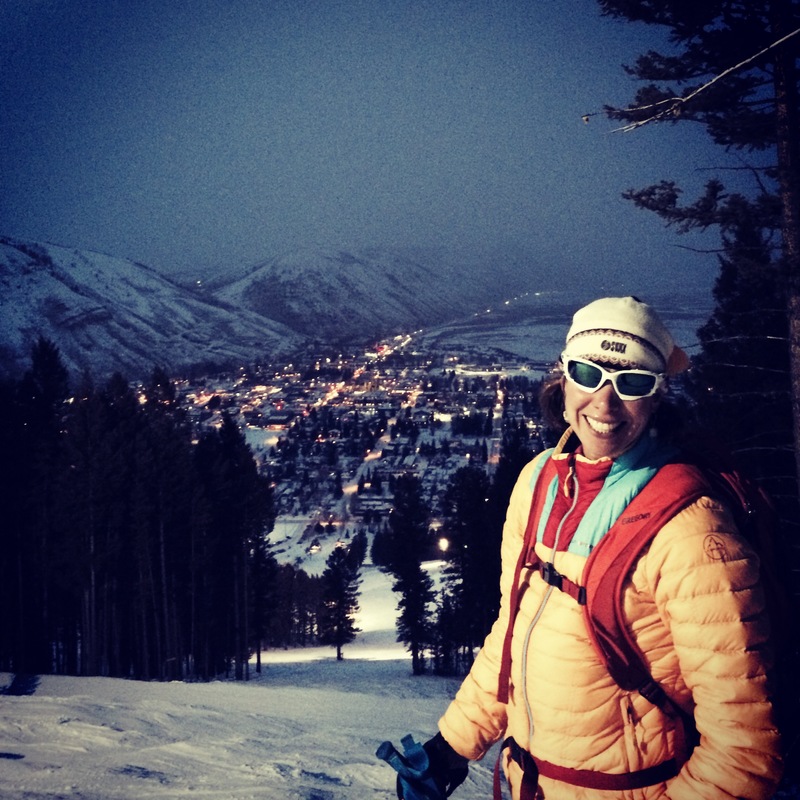 I was so relieved to be finished – it felt like I had raced a six-day expedition adventure race. But I was also frustrated with my performance. It sounds silly to complain when I finished in 2nd place, but performing to the best of my ability is more important to me than my standing. Having a bad race comes with the territory and it happens to all of us. For a few hours after the race I had decided I didn’t need to race again, but eventually I felt motivated to train harder, do more physical therapy and get myself back in the game. Big ups to Stevie and John Gaston, who completed a clean sweep of all three races in pretty convincing fashion. They’re both going to be hard to beat this season. Full results here. 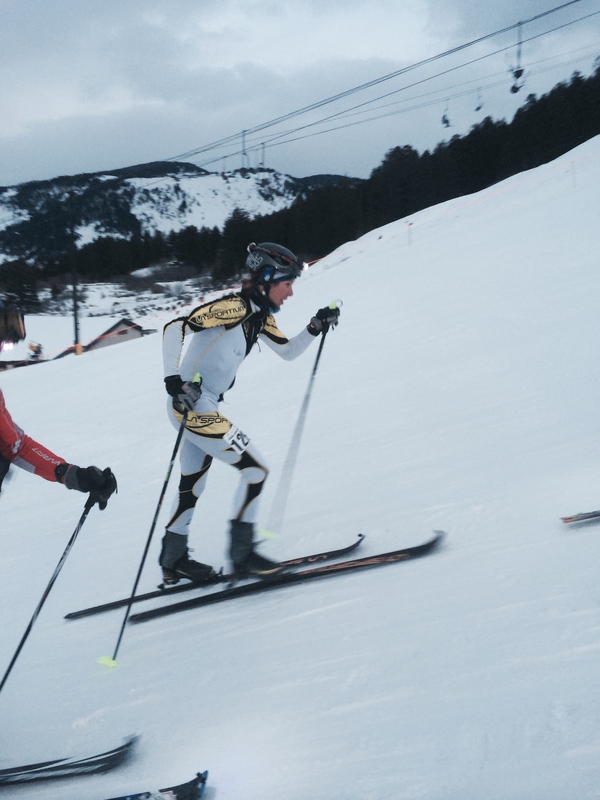 I took the day off my skis yesterday and then went back to racing on Wednesday night for the first of the Highlands Skimo Series. Over 25 people showed up for the race, including lots of first-timers, which was great to see. My legs were certainly tired, but thanks to a wrong turn by a bunch of the field, I finished near the front. Next up I’ve got the Sunlight Heathen Challenge on Saturday. I hope and trust all this racing will help get my fitness back to where it used to be. Hope to see lots of you this weekend! Max Taam, Jessie Young and I planned to run the Four Pass Loop outside of Aspen yesterday however the weather did not agree with those plans. As we started running from Maroon Lake, a light rain fell. Reaching Buckskin Pass after an hour and twenty minutes of running, we made the decision to run to Snowmass Lake then to Snowmass Ski Area and possibly across the Government Trail back to my car. 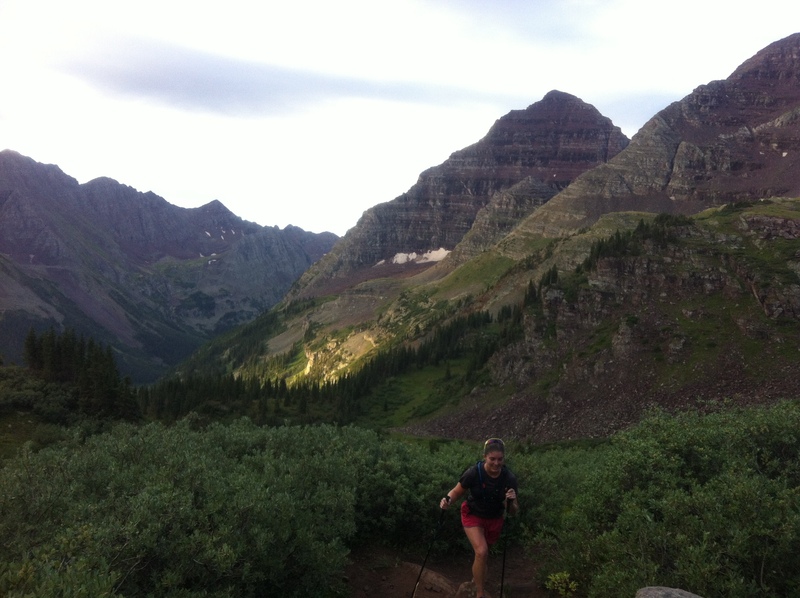 Jessie heading up towards Buckskin Pass early in the morning. Jessie & Max at Snowmass Lake. With the weather holding with clouds and no rain, I suggested we run up East Snowmass Creek to East Snowmass Pass and Willow Pass. Despite Jessie being hesitant for about 30 seconds, it didn’t take much convincing. If the weather rolled in, we could always turn around and be at Snowmass Ski Area and out of lightning danger very quickly. Plus, then someone wouldn’t have to take the bus back up to Maroon Lake to pick up the car. 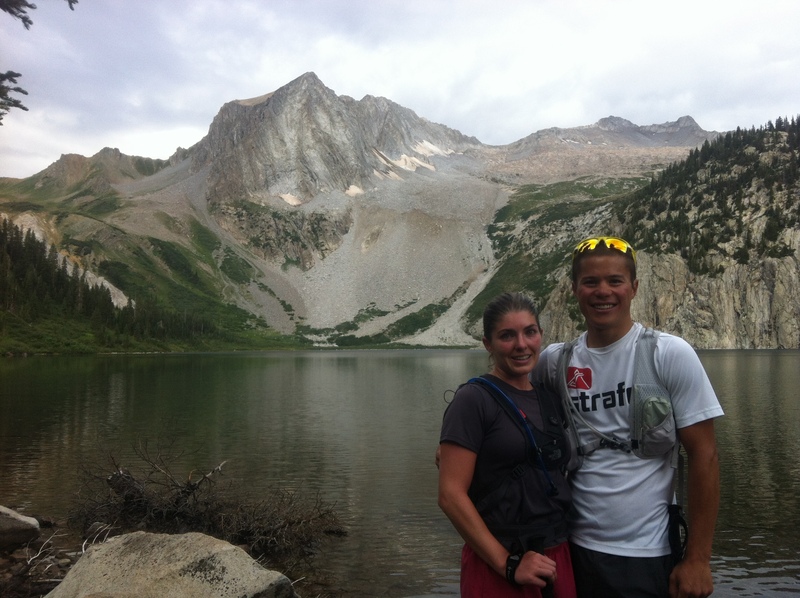 After running down Snowmass Creek, we headed up East Snowmass Creek. 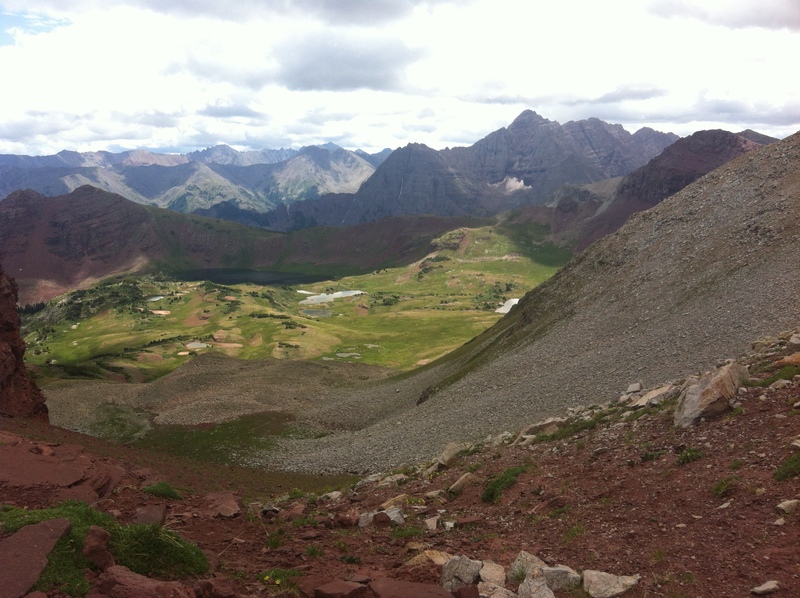 East Snowmass Pass looking down at Willow Lake. We descended into the valley and up Willow Pass on the right. We took our time, enjoyed the lakes and passes but got in just under 31 miles with over 10,000 feet of elevation gain. 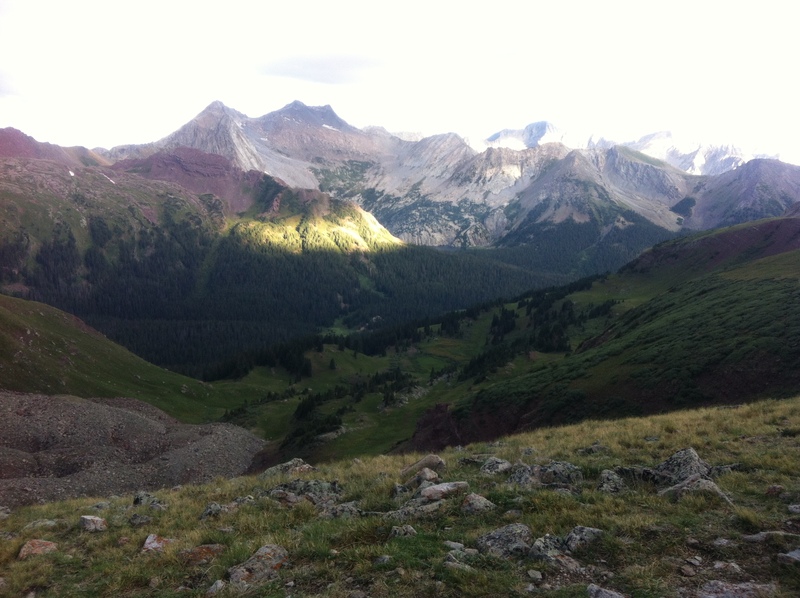 The rain stayed away long enough making us wonder if we would have been clear on the Four Pass Loop where our best escape would have been to Crested Butte or Marble. Next time we’ll get the full loop however our new ‘Three Pass Loop’ was a great alternative. 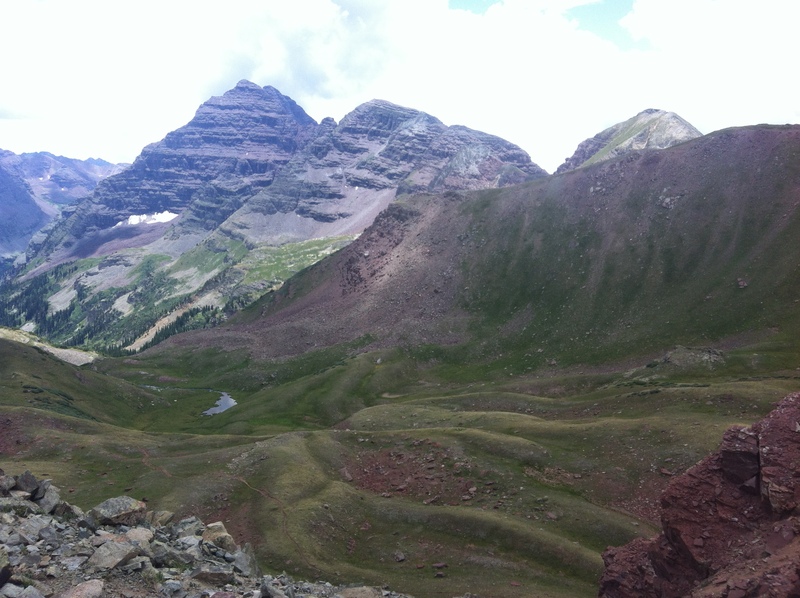 Willow Pass with the Maroon Bells and our trail back to Maroon Lake. Garmin stats can be found here.